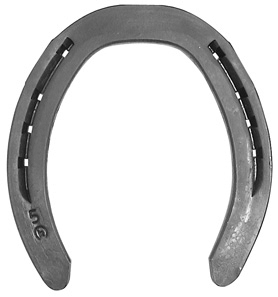 The front shape DF shoes with quarter clips are the fastest growing style in the A class Jumper circuit. The variety of steel sizes, combined with the excellent clip style and punching, has helped lead Kerckhaert to the top in this segment of the market. Now available in 8mm and 10mm thickness. Shoes are symmetrical. Punched for E-head. Specifically designed for the hunter jumper market where additional support is required. Heels are elongated and tapered. Widest part of shoe is moved forward, allowing an “extended” heel fit. Punched for E-head. 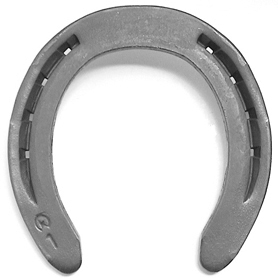 DF Toe Clipped Fronts The DF series of shoes is a European line of shoes. This line has become very popular in recent years. 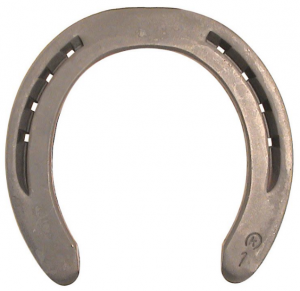 Made for the discerning farrier who requires finesse and attention to detail in his work. The DF line offers the broadest selection in features such as left and right foot patterns, different web sizes, clip positioning and nail hole sizing according to the size of the shoe. Punched for E-head.